An appeal bond, also known as a supersedeas bond, is used when a defendant appeals a judgement. Owens Bonding Co. is able to write any kind of bond you need, so give us a call at 866-830-2663 today! In other words, this bond delays the payment of a judgement to the plaintiff until the appeal is complete. 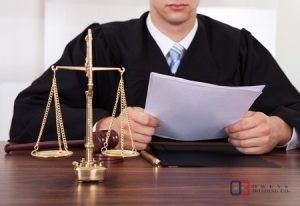 It also ensures that you, the defendant, can cover the payment when it is required of you. If you do not use an appeal bond, then you may be required to pay the judgement before your case completes the appeals process. Appeal bonds are not typically used by a plaintiff who has lost a case because they do not have a judgement to pay. In many cases, it is required by law that the defendant provide a surety to guarantee the payment. This helps protect the plaintiff and avoids unnecessary appeals. It also shows good faith and liability by the defendant, that they will not try to get out of making the payment. These bonds usually cost the full amount of the judgement, or more, and require approval by your bond agency. At Owens Bonding Co., our agents work hard to help you ease the financial burden of court costs. We provide all types of surety bonds, including supersedeas and appeal bonds in Wichita, KS and beyond. Our bondsmen are located all over the state to help you, wherever you are. Open 24 hours a day and operating in over 75 counties, we are just a phone call away. Contact us today and we will work with you to find an option for you. Call Owens Bonding Co. at 866-830-2663 for a supersedeas or appeal bond in Wichita, KS. Updated on February 10, 2017 at 10:10 pm by Owens Bonding Co..